Can you believe we are past the half way point of 2015 already?! At intervals like this I like to sit back and reflect on what has happened over the previous months (I did a similar post at the end of 2014). I think it helps me appreciate what has happened in the business and the companies we have helped. Alain Attias - SEO consultant who specialises in technical SEO. Danielle Easton - SEO consultant with a focus on outreach and link earning. Andrew Thomas - An expert in strategy and inbound marketing implementation, Andrew is our Inbound Marketing Consultant. Samuel Banks - Although not yet a full SEO master, Samuel supports the SEO team in delivering quality organic traffic and leads for clients. To add to our first class search marketing offering we now offer the full inbound marketing service. 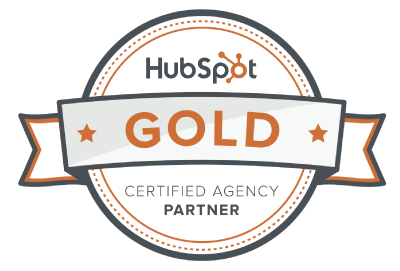 In just over six months of offering the service we have achieved some amazing results for our clients and been certified as a Gold Certified Agency, proving our knowledge and success with the methodology and software. Inbound marketing successfully positions our clients as the solution their ideal customers are looking for, this is achieved by developing an online presence that speaks to them and their specific needs. You can find out more in our recent blog post - What is inbound marketing? Our customers are at the heart of everything we do so we can't have a sum up of our year so far without discussing them. B60 Apps - award winning enterprise app developers who have worked with Brother, BT and Subway. Avec Sport - suppliers of quality football team kits from the Sunday league to professional teams such as Barnsley, Oxford, Doncaster and Darlington. Trafalgar Jewellers - buyers and sellers of the highest quality of antique jewellery on the web with buyers across the globe. Psychic Waters - providers of inspirational psychic telephone readings. Gustharts - specialist in arborist equipment who are one of the best known in Europe. Paper Cup Company - from their factory in the North West they produce printed paper cups. Create Homes - Doncaster based building company . Khiron House - a trauma treament clinic. Fancy Dress Coz - from the competitive fancy dress costumes industry.